The original my father was created by Jaime Garcia in tribute to his Father Pepin. 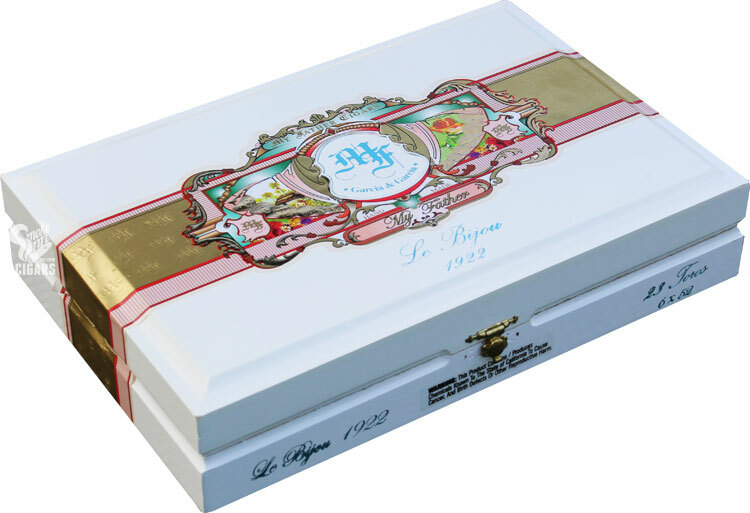 The My Father Le Bijou was created by Pepin in tribute to his father, Le Bijou is French for "the jewel" and 1922 refers to the year Jose "Pepin" Garcia's father was born. My Father Le Bijou cigars have an all-Nicaraguan blend with a rare dark Nicaraguan Oscuro wrapper. It is an incredibly rich cigar with the right amount of strength and spice. A true masterpiece.